Detoxify congested skin and balance oil production with this anti-oxidant-packed, multi-use cleanser and clarifying mask. Minimize the appearance of existing acne and eliminate the impurities and bacteria that cause it and clear your skin with this versatile clay cleanser that delicately absorbs impurities. Fantastic for those with oily, blemished or combination skin, most see marked improvements after one use. 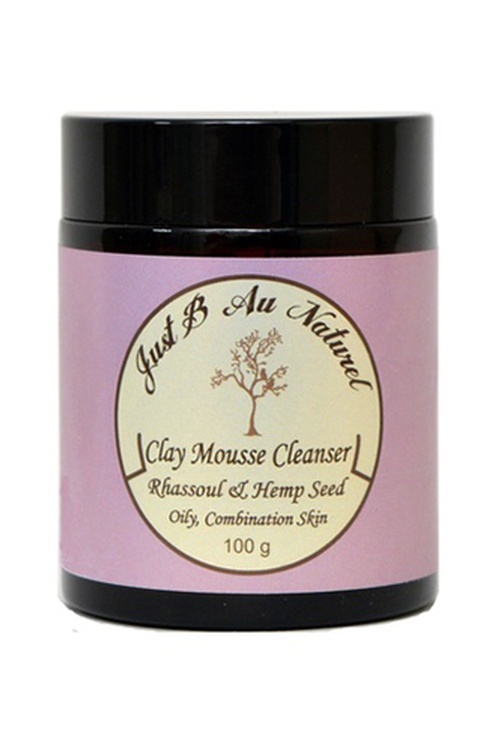 Formulated with the most versatile of all the clays, Rhassoul which is rich in natural minerals that improve skin's elasticity, clarity & overall health; and Hemp seed Oil Hemp seed oil is one of the best cleansers and moisturisers for acne prone skin with a (comedogenic rating of 0) which means it is safe to use on acne prone skin and will never clog your pores. Apply to dampened face and throat and massage with damp fingertips in light, upward strokes. Concentrate on any areas of oily congestion and impurities. Rinse off with warm water and repeat for professional cleansing results. Rhassoul clay can improve skin tone, texture, elasticity and clarity while eliminating dryness and flakiness. Use it as a mask too ! 100% mineral-rich Rhassoul Clay, Pure cold-pressed oil of Cannabis Sativa (Hemp Seed) Oil and Organic Aloe Barbadensis (Aloe Vera) all blended with certified organic essential oils especially Salvia sclarea (Clary sage) flower oil* known for its calming and soothing abilities which also reduces skin inflammation for clear skin. Fantastic for those with Acne, blemished, oily or combination skin.